إن فندق Bermuda Villas Hotel بموقعه الممتاز في Noosaville هو نقطة انطلاق جيدة لنزهاتك في صن شاين كوست. يمكن من هنا للضيوف الاستمتاع بسهولة الوصول إلى كل ما تقدمه هذه المدينة النابضة بالحياة. إن سهولة الوصول من الفندق إلى المعالم السياحية الشهيرة الكثيرة في المدينة كمثل Noosa River Holiday Park, Nancy Cato Park, Noosa Village Shopping Center هو استثنائي بحد ذاته. استمتع بالخدمات الراقية والضيافة التي لا مثيل لها بهذا الفندق في صن شاين كوست. يقدم الفندق تسجيل وصول/خروج سريع, تخزين الأمتعة, واي فاي في المناطق العامة, صف السيارات, التوصيل من وإلى المطار لضمان الراحة القصوى لضيوفه. بالإضافة لهذا,تتضمن كل غرف الضيوف مجموعة واسعة من وسائل الراحة . بعض الغرف توفر حتى اتصال لاسلكي بالإنترنت, غرف لغير المدخنين, مكيف هواء, مكتب, شرفة/ تراس لإرضاء أكثر الضيوف تطلباً. يقدم الفندق العديد من الفرص للاستجمام كمثل مسار جولف - ضمن 3 كم, حمام سباحة خارجي, سبا, حديقة. يحظى فندق Bermuda Villas Hotel بموقع ممتاز وخدمات يصعب منافستها. 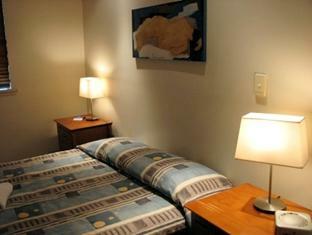 Wonderful facilities, spacious and beautifully decorated apartment with everything we could possibly need. Pool and BBQ area are also attractive and comfortable. Managers are also friendly and welcoming. We really enjoyed our stay here. Loved the close proximity to the river & restaurants ,cafes. Quiet,v clean and close to Noosaville retail & hospo outlets. A few minutes to Noosa Heads by car. Everything was excellent. Facilities were clean, staff were so friendly. Just a lovely place to stay. 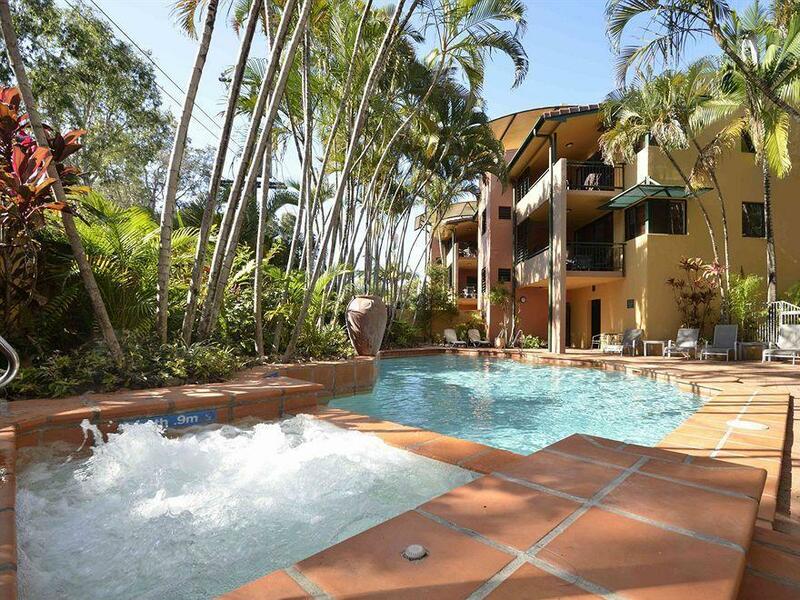 We booked two apartments for a group for the Noosa Triathlon - excellent for our needs. Thanks. Hello Hyunji, Thankyou for taking the time to provide us with some positive feedback. It was a pleasure to have you stay with us at Bermuda Villas and we look forward to welcoming you back in the near future. Kindest Regards Deb. The rooms were lovely and spacious and clean. The new owners were extremely helpful and friendly. We can't wait to return for another getaway. Hi, It was a pleasure to have you stay with us at Bermuda Villas, and to receive some positive feedback. We look forwards to welcoming you in the near future. Regards Deb. An excellent self-contained 2 bed 2 bath villa with separate toilet, close to river and a short walk to Noosaville's restaurants. Excellent value. Loved it! Great location, lovely pool area, apts were well equipped and spacious, staff were friendly. Had a great time in great weather in lovely Noosaville ! It was lovely. The only complaint was the construction noise across the road, however that should finish soon. we were greeted with such warmth and excellent info was given to us about the area we were staying in.Apartment was brilliant and close to the noosa river and ferries,just a short walk from lovely restaurants..we did'nt use the car in the whole time we were there as we used the noosa ferries.Kitchen had everything we needed and what brilliant water pressure in the shower!! !Felt very comfortable and happy staying here and will go back!! The stay was well worth it, went with four ladies, we had a ball. the two room accommodation was better than we expected lovely covered balcony area to seat outside and have a few drinks, the lounge was spacious and relaxing, all in all will go back again. we really enjoyed our stay at bermuda villas and wouldn't hesitate to stay there again. price was very reasonable and the water views were a real bonus. it is only in a small apartment block so there was no problem with noise and the large balcony was great for sitting and having breakfast. its far enough from hastings to be out of the tourist traffic but still only 5-10 minutes if you want to drive in. I loved everything about Bermuda Villas!! The lady and gentleman at the reception were very nice and friendly and the room were big and clean and equipped everything we needed during the stay. We enjoyed staying here so much!! Will come back for sure. Omdat onze Airbnb waar we oorspronkelijk zouden verblijven de boel niet goed op orde had waren we genoodzaakt last minute iets anders te zoeken tijdens ons verblijf in Noosa. Gelukkig kwamen we hierdoor terecht bij het mooie Bermuda Villa's in Noosaville. Een beetje aan de dure kant, maar daar krijg je dan ook een schitterend appartement voor met ontzettend veel ruimte en alle nodige voorzieningen. Het zwembad met het bubbelbad zijn heel fijn om in te relaxen. Als je vanaf het hotel richting de rivier de hoek omloopt kom je aan de straat genaamd Gympie Terrace. Hier zijn tal van leuke (maar wel prijzige) restaurants en hier kun je ook boot ritjes of paddle boards regelen. Wil je naar het strand of het park dan moet je hier iets verder voor reizen, maar met een taxi/Uber rit ben je er met 5/10 minuten. Al met al een fijn hotel waar we uiteindelijk terecht zijn gekomen. Deze zou ik aan iedereen kunnen aanbevelen. Let alleen op dat je je koffers wel de trap op moet tillen.